Isuzu, the Japanese automobile manufacturer since 1916, was established in India with the name Isuzu Motors in the year 2012. 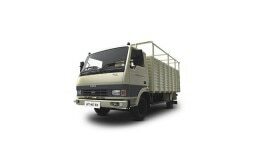 The company manufactures and sells utility and Light Commercial Vehicles in India such as pick-up trucks which are quite popular among the masses. Some of its most desirable models in the market are Isuzu D-MAX, Isuzu D-MAX V-Cross and Isuzu D-Max S-Cab with the price range in India starting from INR 5.99 lakhs. Engineered to deliver solid performance on tough terrains, these Isuzu pick-up trucks ensure customer remains delighted all the time. Isuzu Motors has already switched over to BS-IV standards to align itself with the contemporary technology. Being one of the largest commercial and utility vehicle maker, Isuzu has live up to its name for being a reliable manufacturer. The automaker has 28 dealerships pan India and aims to expand it to around 160 till 2020. Isuzu has a state of the art manufacturing plant located at Sri City, Andhra Pradesh through which it exports its vehicles to Nepal. The company has plans to export its products to 20 more countries including regions of Middle East and Africa which would further strengthen its position in the Indian commercial vehicle space.